JIMI HENDRIX is well known as a musical icon and innovative guitar genius. Reed Robins has long admired and studied Jimi's music and, in tribute, has created an amazing portrait of many of Jimi's songs, arranged for jazz piano. This sensitive treatment shines fascinating new lights on familiar and some less-familiar musical material. In a chronologic essay through Jimi's catalog, Reed explores and emphasizes many of Jimi's musical influences, as well as Jimi's maturation as a composer up to his untimely death. Reed also adds his own virtuosic ability through arrangements and improvisation, which, rather than copy and mimic Jimi's awesome guitar technique, comment and compliment via the piano. "Solo jazz piano renditions of Hendrix tunes that actually live up to the legacy they are honoring. 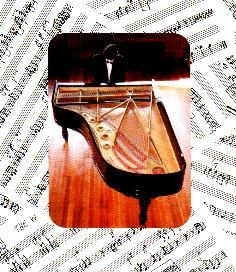 Robins acknowledges the original compositions, while simultaneously using them as a springboard for his own inventiveness. Excellent production. Very good package. Highly recommended." "Songs of Jimi Hendrix for Solo Jazz Piano is something every hard-core Hendrix fan should have. Reed has based his "compositions" on some of the greatest music of all time -- classic Hendrix. I call his tunes "compositions" rather than "arrangements" because he has based original material on the form and theme of the original songs. If I'm not listening too carefully, it's often hard to figure out what song is playing. This is definitely NOT a note-for-note Jimi on piano. Reed does a very tasteful job. His music stands for itself -- despite the fact that they're Hendrix tunes. Everytime I listen to it I pick up more and more stuff. Little Wing is just beautiful (as it should be, it's an incredibly beautiful song in the first place). Reed definitely did it justice. I think the greatest thing about this CD is that Hendrix fans like us can use it to slip a little Jimi in situations where it might not otherwise be appropriate. Work in a classy restaurant?? Put in some jazz piano, no one will notice while you jam to Jimi. :)"
"It's hard to imagine a jazz pianist being inspired by the music of Hendrix, but Robins is such a breed. Not only is Robins an experienced pianist, but he has had success as an arranger, conductor, producer, and singer. Here, his interpretations of 20 classic Hendrix cuts from four albums (Are You Experienced?, Axis: Bold As Love, Electric Ladyland, and The Cry Of Love) may have more appeal to jazz or piano fans. As a lover of piano, I find this collection very entertaining. More often than not, you will find yourself scurring for the CD case to identify the song, then pulling a V-8 once it all comes together. Robins' style is energetic, yet relaxed when needed, such as the ballads of Driftin' and Angel. Top Cuts: Are You Experienced?, Gypsy Eyes, The Wind Cries Mary"
"Die-hard Hendrix fans will find Robins's debut for the Changing Tones label Songs of Jimi Hendrix for Solo Jazz Piano to be a complete 180 degree departure from the late singer/guitarist's trademark riffs and (literally) flammable sound. It is likely, in fact, that even the most seasoned Hendrix listener will have trouble discerning which song is which without using the CD jewel box as reference. The music is that different when played on jazz piano. "Different," however, does not necessarily mean "bad." Songs is a refreshing tribute to the Sixties wunderkind who left this world much too soon. I have believed that Jazz is part improvisation, all energy--apparently Robins thinks on the same wavelength because this collection is not dull. The twenty Hendrix classics found on Songs keeps the fingers sanpping and the ears and mind alert, for part of the fun in listening is trying to pick out familiar chords. Try a little "Name that Tune" with sample clips of Foxey Lady, Purple Haze, and my all time Hendrix favorite, Fire. You might not recognize all the songs (the only one I've managed to pick out is Robin's gentle adaptation of The Wind Cries Mary), but you won't be disappointed, either. Robins, unaccompanied through the entire CD, glides through the Hendrix catalog with grace. Just listening gives the impression that his performance in practically effortless. Somewhere up in Heaven, Jimi is looking down and listening in. I'm sure he is impressed." "I am quite pleased with Songs of Jimi Hendrix for Solo Jazz Piano. The artist's interpretations of Hendrix's material are highly original, but still grounded enough in Hendrix's original to be recognizable. The sign of, in my opinion, a talented musician. It's already gotten airplay on our jazz show, and other places!" 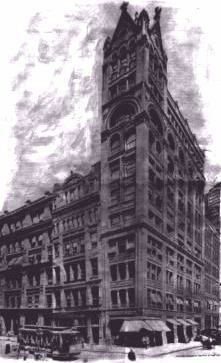 "We are playing Songs of Jimi Hendrix for Solo Jazz Piano as bridge music on our Weekday News and arts magazine show. It's great! Many thanks!" "Songs of Jimi Hendrix for Solo Jazz Piano made our Jazz Top 10 list"
"As you can see from the playlist, it has been getting airplay!" "Great CD -- made our CMJ top 30!" "Hello! 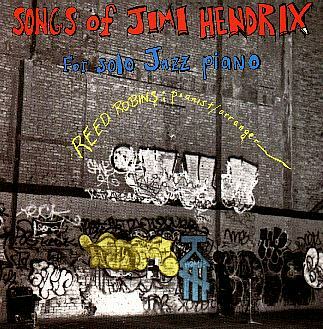 Songs of Jimi Hendrix for Solo Jazz Piano sounds great!" Total playing time of album = 67+ mins.